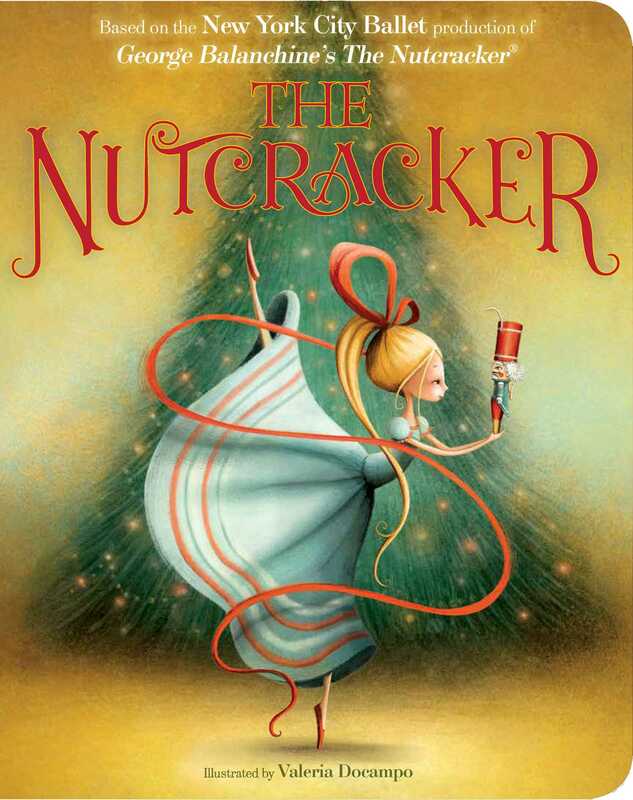 Now available in a beautiful board book edition, the New York City Ballet presents a classic ballet tale for a modern ballet lover with George Balanchine’s The Nutcracker, a holiday favorite. The New York City Ballet is known for showcasing classic stories of the ballet with their trademark stylish and modern sensibility. For the first time, this beloved holiday story is told based on George Balanchine’s quintessential production. The storyline of this gorgeous board book mimics the choreography of the famous ballet and the illustrations are inspired by the backdrops and scenery from the actual production. The New York City Ballet’s production of the Nutcracker is considered to be “the” leading production in the world. A holiday tradition for many families, now readers who can’t travel to New York will be able to experience this celebratory story. A must-have for every aspiring ballerina’s library and a holiday keepsake for every family’s bookshelf. New York City Ballet is one of the foremost dance companies in the world, with a roster of spectacular dancers and an unparalleled repertory. The company was founded in 1948 by George Balanchine and Lincoln Kirsten and it quickly became world known for its athletic and contemporary style. In 1964 New York City Ballet moved to its current home in Lincoln Center where it performs twenty-one weeks of each year. Widely acknowledged for its enduring contributions to dance, NYCB is committed to promoting creative excellence and nurturing a new generation of dancers and choreographers. Valeria Docampo taught art and graphic design before dedicating herself to illustrating full-time. She resides in Lyon, France.